Attention Graduates- Purchase Your Regalia! Graduate candidates can purchase their graduation regalia (cap, gown and tassel) at any Moraine Park Campus bookstore beginning on April 10. Honor cords, Military and Veteran cords, and Phi Theta Kappa (PTK) cords/stoles will be available for purchase. Wearing of Honor and High Honor cords are based on cumulative Grade Point Average (GPA) as of the end of the 2018 fall semester. No exceptions to this will be made. NOTE: Commencement is a formal academic ceremony. The decorating of cap and gown is discouraged. 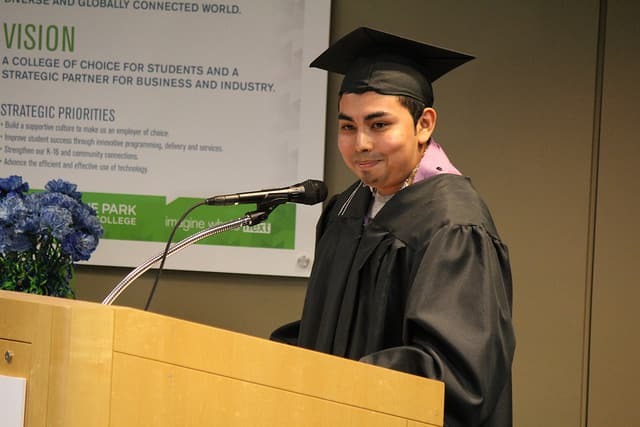 Moraine Park Technical College held its 26th annual GED/HSED graduation ceremony on June 7. For the 2017-18 school year, 141 students received their General Education Development (GED) and High School Equivalency Diploma (HSED) certificates. 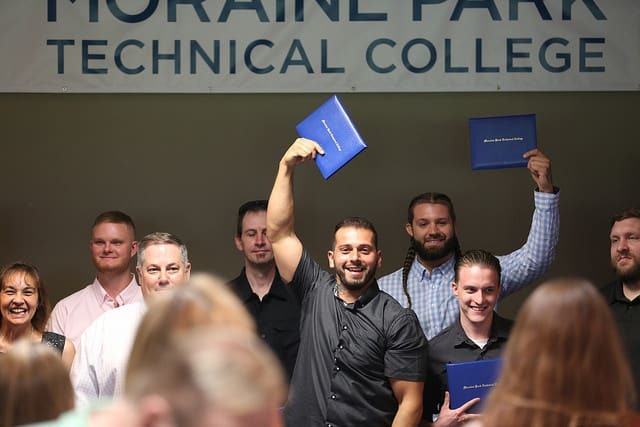 Moraine Park Technical College held its 13th annual Manufacturing Skills Academy graduation on Friday, May 25. The College had 20 students graduate from the program; eight from the Computer Numerical Control (CNC) machinist boot camp and 12 from the welding boot camp. 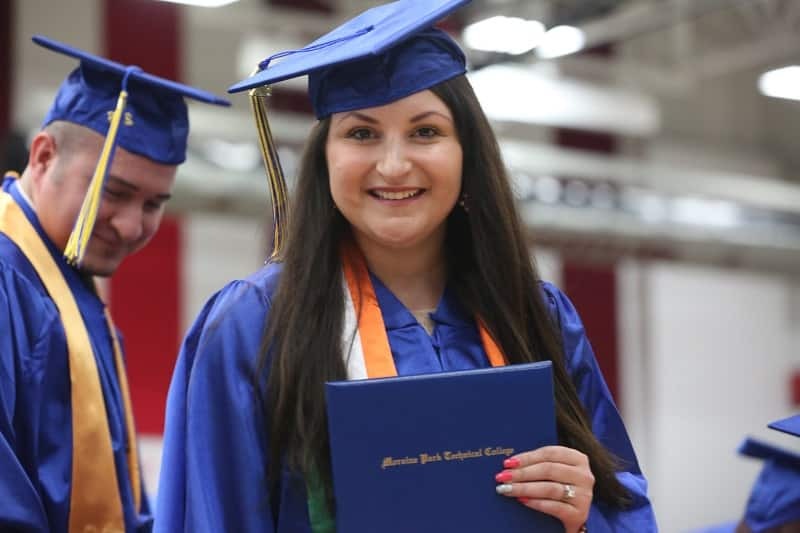 Moraine Park Technical College held its 25th Annual GED/HSED Graduation Ceremony on June 1. For the 2016-17 school year, 109 students received their General Education Development (GED) and High School Equivalency Diploma (HSED) certificates. 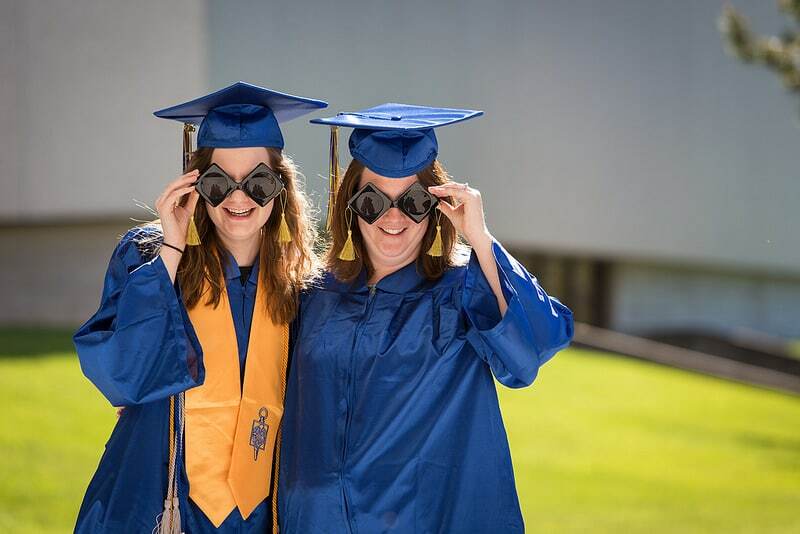 Two of these individuals served as student speakers at the graduation event -– Danielle Patzan of North Fond du Lac and Lisa Stoffel of West Bend -– and each reflected on vastly different journeys that led them to this point. Congratulations to Moraine Park Technical College’s Class of 2017 – and best wishes in your journey ahead! In honor of your accomplishments, here’s 217 pics of our 2017 Commencement! Do you recognize any familiar faces? 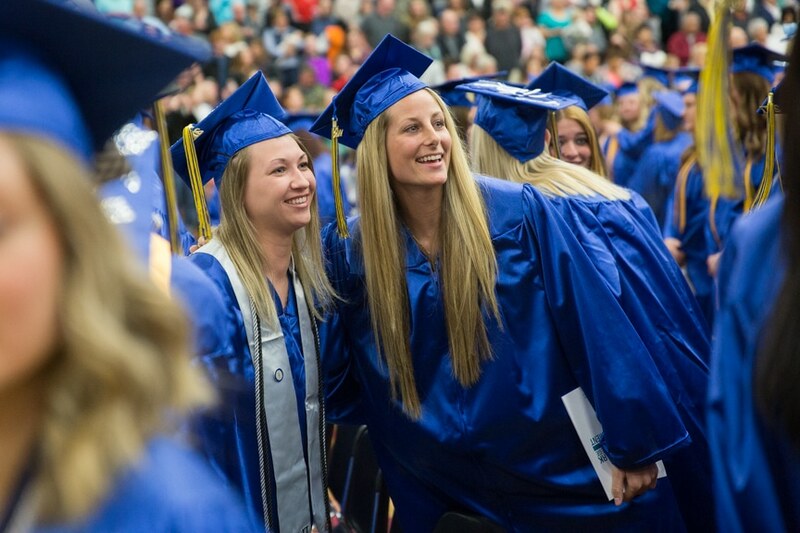 Within a profound scene of smiles, laughter, joyful tears and dreams come true, Moraine Park Technical College hosted its 2017 Commencement Ceremony in the Fond du Lac High School Field House on Saturday, May 20. Nearly 350 graduates took part in the event. In all, the Class of 2017 had nearly 800 graduate candidates complete their studies to receive associate of applied science degrees and technical diplomas. Keynote speaker, Dr. Morna Foy, impressed upon graduates the need to enjoy the moment, but also look to the future. “You have definitely arrived at an important milestone, and you’re to be recognized and celebrated for that. That’s why we’re together. But I’d offer that there’s now much more to be done,” Moy said. “Think of it this way: You’re like a coiled spring, or a sling-shot pulled back. You’re ready for launch. That’s what scientists call “potential energy.” It’s the energy an object has because of its position, rather than its motion. Graduating Soon? What about your Student Loans? As you prepare for life after school? 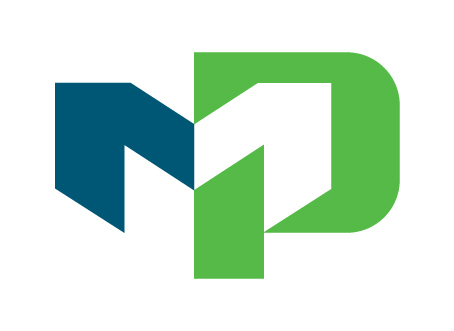 We want to provide you with next steps, tips, and advice regarding your student loans. First, review your records and student account. You’ll need to figure out whether you have federal student loans, private student loans, or both. The advice below is for your federal student loans. To discuss repayment options for your private student loans, contact your lender. 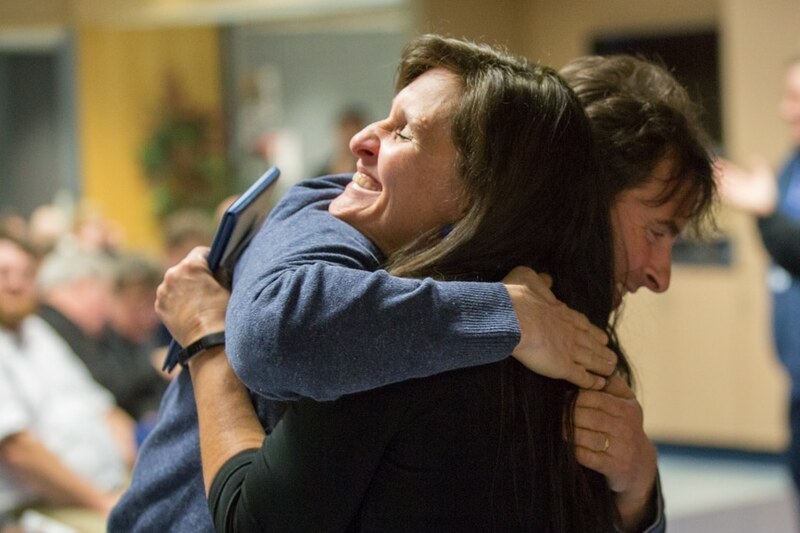 It was an emotional afternoon on Dec. 9 at Moraine Park Technical College, as we celebrated the accomplishments of our 23 Fall 2016 Manufacturing Skills Academies completers. Need proof? Check a few photos from the event and try not to smile! These men and women reached a tremendous milestone in their lives, and we’re very proud of them! To read more about the ceremony, click here. And for more details on how you can join a Manufactoring Skills Academy, visit morainepark.edu/bootcamp, or call Abby Pluim at 920-924-3338. 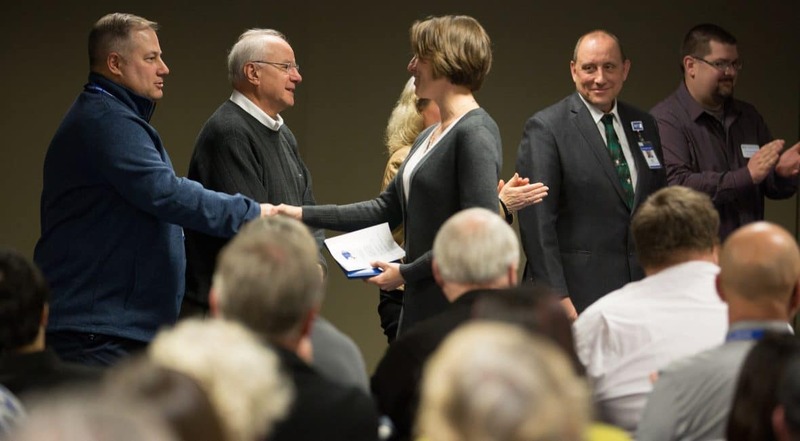 Nearly 200 people came to Moraine Park Technical College on Friday, Dec. 9 to celebrate the accomplishments of 23 Fall 2016 Manufacturing Skills Academies completers. (To view more photos from the event, click here).